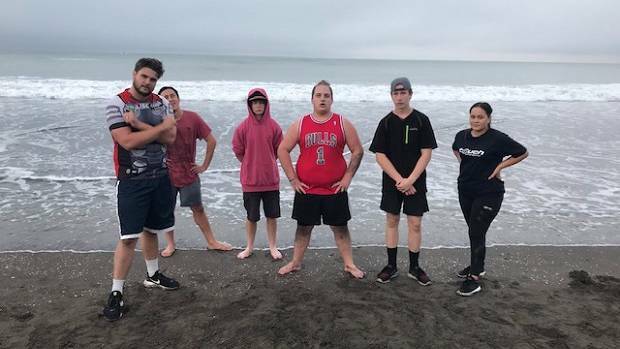 Using Castlecliff Beach for training are (from left) specialist case worker Jesse Hamilton-Hall, Wiremu Tamehana, Xavier Thomson, Braxton Nikora-Whale, Amos Goldsack and Tala Thompson (highlighted are former students). An early morning fitness programme is motivating some Whanganui Youth Service clients to get out of bed and giving them a much-needed confidence boost. Specialist case workers Jacob Makara-Moreland and Jesse Hamilton-Hall are running the two-month trial programme three mornings a week for five of their Youth Service clients, some of whom come from challenging backgrounds. "The fitness programme came about when we went to visit young people at home," Makara-Moreland said. "At midday they'd still be in bed, which concerned us. They'd have been up all night playing games. "Some of them have been disconnected from the community. We want to motivate and empower them and get them back into the community. "We do fitness ourselves and we know how it feels after you've done a fitness session - it's a good way to start your day. We wanted to show that to young people. They'd just be in front of their screens all day otherwise. "They do have issues, like anxiety issues. People say 'why don't they just go to the gym' but they don't have the confidence to sign up for the gym. Often they haven't had a positive role model in their life." Hamilton-Hall said the aim was to give young people a positive outlet and build discipline and structure in a safe environment. 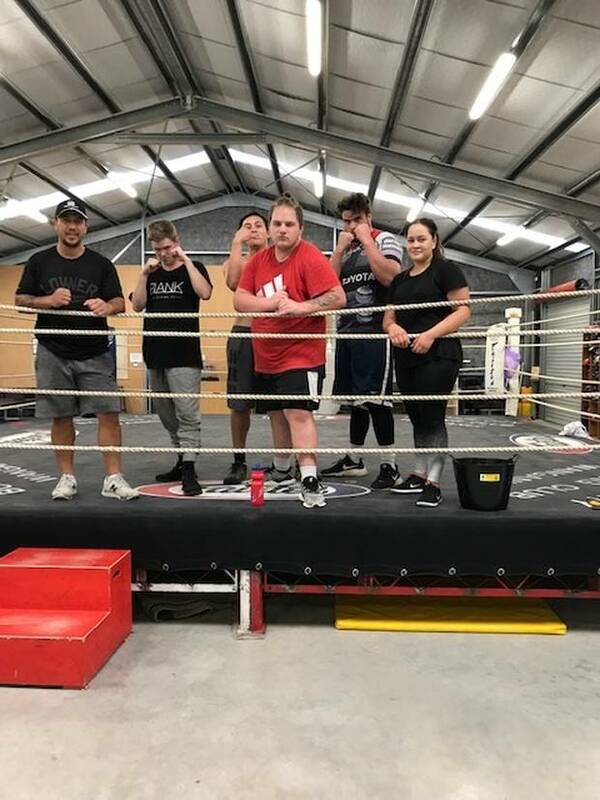 At the boxing gym are (from left) specialist case worker Jacob Makara-Moreland, Darcey Chambers, Wiremu Tamehana, Braxton Nikora-Whale, specialist case worker Jesse Hamilton-Hall and Tala Thompson. On Mondays and Thursdays the young people have a session with Eddie Tofa, of River City Boxing Gym, who is experienced in working with youth. On Wednesdays Makara-Moreland and Hamilton-Hall run their own outdoor programme, which includes activities such as running on the sand dunes at Castlecliff Beach, climbing the Durie Hill steps or doing circuit training. They hoped to build connections with other fitness programmes and gyms in the future, Hamilton-Hall said.